This level is hard as you need to make 10 striped and four colorbomb candies that could unbalance the Owl easily. 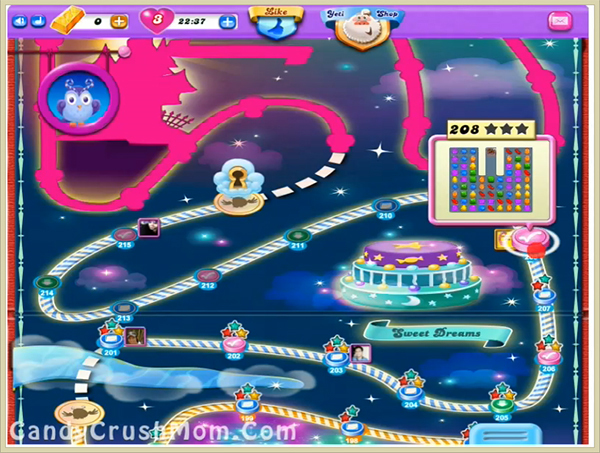 For this level you need to try to make striped candy and try not break them till moon struck. After moon struck it will automatically make striped candy plus will break old striped candies that could give colorbomb. Then break colorbomb with normal candies to reach requirement. We completed this level with 189000 score using same strategy that we said above and luckily reach requirement before 7 moves plus got three star score.